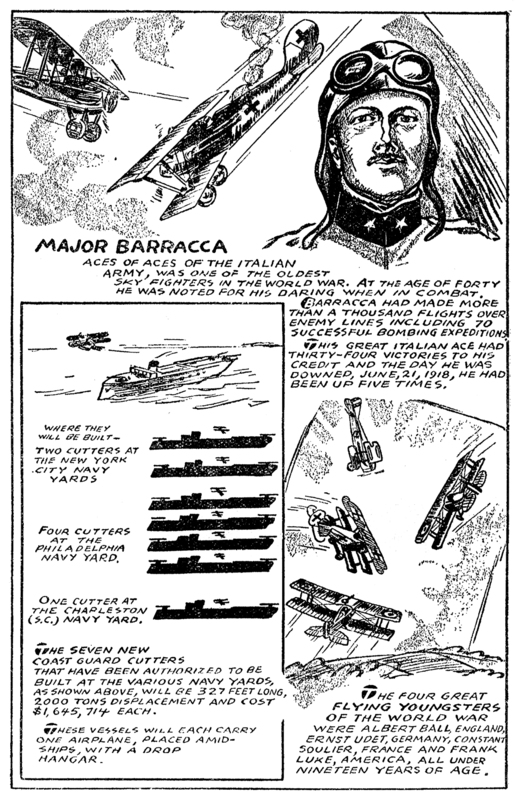 The September 1935 installment, from the pages of Sky Fighters, features Italian Ace Major Barracca, Canadian flyer Captain W.W. Rogers, America’s Lt. Norman Prince, and Germany’s own Manfred von Richthofen! Next time in “Famous Sky Fighters”, Terry Gilkison features Sgt. James McConnell, Capt. 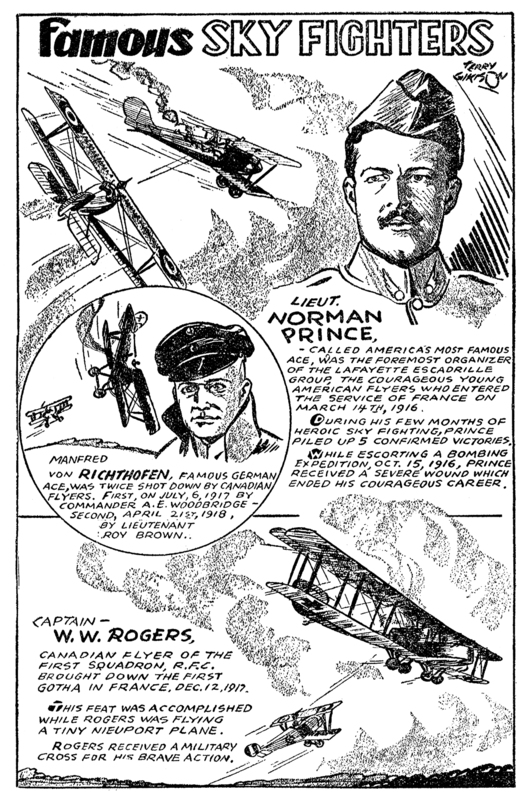 James Norman Hall, Lt. Frank Engle, the war correspondent who ended up fighting, and the father of aerial combat Eugene Gilbert! Don’t miss it! These fighters deserve to be known and remembered for the impossible things they could do and get victory for it.